We are now two weeks into 2019 though the markets still reek of 2018 fever. I’ll be honest, many of us did expect to see Bitcoin at $10,000.00 by now and some of us may even have felt optimistic enough to believe that the start of 2019 would have bought the same riches as the start of 2018. Two weeks later, we are pretty certain that this is not the case. As we have seen, the markets are riding very low, too many, this is good news - it presents a great buying opportunity, for others though, this is a major frustration, our investments are seeping value and things are looking gloomy. Worry not though, 2019 has just started, we’ve got a long way to go yet and hope that over the next 12 months, things will change massively. 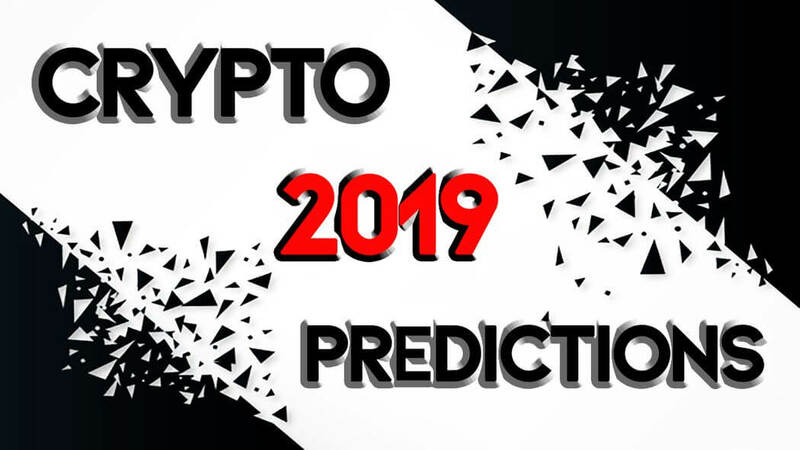 Now we want to explore some of the more prominent predictions for 2019 in order to explore the potential impact that they could have on the markets. We are expecting some big events to occur through the year, some of which will be good for Bitcoin’s value and others will be better for general Bitcoin adoption. Of course, these are just predictions so therefore, we can’t guarantee that they will happen, nor can we guess when they will happen. As a result of this, please don’t go and invest because of these predictions, instead, use them to help you plan out your own research and to find your own way round the news. According Fortune, the Winklevoss twins, the brothers behind the Gemini Exchange, have recently spoken on their own TV show in the United States, The Ledger. You can see the recorded footage of the Winklevoss Twins interview for yourself, here. The Ledger is part of Fortunes dedicated blockchain and cryptocurrency news channel. In case you’re not aware, Fortune is one of the largest business news media in the world, famed for their ‘Fortune 50’ rankings and for their multinational magazine. Because of the notoriety of Fortune and the fame of the Winklevoss twins, any predictions made via The Ledger should be taken very seriously. Again, it’s speculation but this stuff wouldn’t be broadcast if it wasn’t backed by research and evidence, therefore, take heed and pay attention! What impact will this have on the markets? Well, it’s sure to shake up the top 10. Next up, 2019 looks likely to finally bring a Facebook-led cryptocurrency, or, as speculation suggests, a Facebook-led stablecoin built to work within WhatsApp. This may not benefit the markets from the outset, but what it will do is introduce a huge number of new potential traders to stablecoins and eventually, cryptocurrency. ICO’s are likely to shrink and indeed, XRP’s monopoly could eventually be challenged. Regulation might not necessarily be a bad thing, though it seems that the Winklevoss twins truly believe that regulators are going to come in hard this year. If not Bakkt, the VanEck is sure to shake up the markets by introducing a new wave of institutional interest. Many believe this is what Bitcoin needs to see in order to reach the moon again, whether or not this will happen in 2019 could be down to how these ETFs rollout, should they be approved by the powers that be. There we have it, if all of the above does take place this year, in 12 months time we could all be in a very different position, a position that leaves us all a little better off than we are today!